/ Modified jan 2, 2019 4:28 p.m.
Tucson's mayor won't take office for a year, but the current office holder has a list of priorities for his successor. Tucson Mayor Jonathan Rothschild speaks at his second inauguration, December 2015. 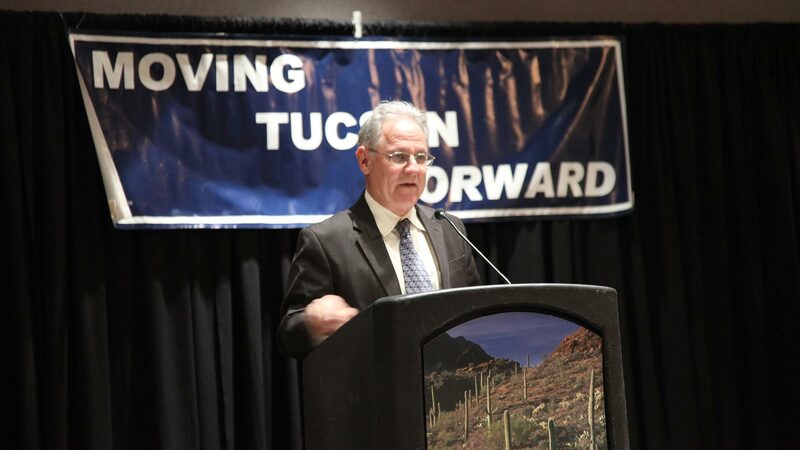 Tucson Mayor Jonathan Rothschild says the biggest challenge the city faces is finances. To help solve that, he said his successor needs to grow the city. "Annexation. We have to have more of that state shared revenue ... we get our money, our income taxes go up to the state and we only get it back on our amount of incorporated people," said Rothschild. Rothschild was first elected as Tucson's mayor in 2011. Last month, he announced he will not seek another term. When it comes to his future, he said he is not joining the list of people running for U.S. Senate. He said he does not plan on running for any more political offices, though he plans to remain active in the community. The mayoral election takes place this November.